When I think of all of the game genres I enjoy, sports games are nestled deep down at the bottom of the list, so far down in fact that I can’t think of any that I enjoy or look forward to at all…except for one, SSX. And it isn’t because I love snowboarding-I only tried it once and ended up with a giant bruise on my upper thigh and many mugs of hot chocolate after I retired to the lodge minutes later. It is because of the greatest of all snowboarding games, SSX Tricky. Tricky became the ultimate drunken party game for my brother & me and our combined friends for about six months when I was in college. Some of my greatest video game memories come from this time period, when our social lives were still more important than our professional ones, giving us the freedom to enjoy our youth without much responsibility but also without the shackles of still living at home. And in that place we imbued various spirits and played SSX Tricky. So much Tricky. For us it was never about maximizing the medals in each level, it was about achieving the highest score. I played with Mac, the DJ, because he was the smallest and most agile of the group without being totally obnoxious (like Kaori). Garibaldi was our chosen playground. We studied it so extensively as we played that each run turned an intricate math equation-if you veered even slightly from a predetermined move a restart was required. House rules said you could only restart at the top of the hill if you missed your first jump, however. Anything beyond that was recovery dependent. My brother was the Tricky master. He could handle the controller with the stillness and control you only see in the most focused and dedicated. His scores became the watershed to beat-which I could never do. I remember clearly the night I finally broke a million points on Garibaldi. I was at my brother’s house with at least three Jager shots swirling my vision, and I unexpectedly experienced a moment of eerie clarity-everything around me became blurry and I was able to pull off my predetermined choreography with exquisite precision, never missing an opportunity to jump ridiculously high above the run or combine several tricks in a row while skidding effortlessly off the sides of the slope. And of course, no one else was watching. Luckily it held the score in a leaderboard after the run, so I ran screaming and hollering from the living room, calling the group in to see my high score (which I never beat). It looked so beautiful through my licorice tinted eyes to see Mac holding his snowboard victoriously, a gold medal waiting for me on the other side of a button push. We played over and over again for months, creating many great friendship bonding moments and memories in doing so. 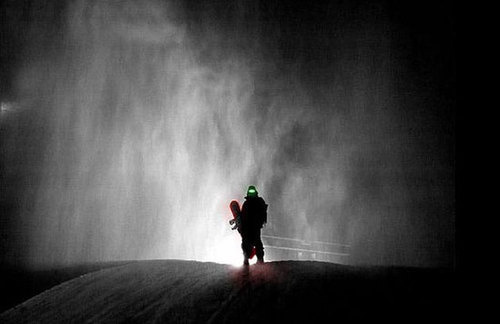 Now we are hearing some whispers and confirmations of EA developing a new SSX, which I find I am really excited about. 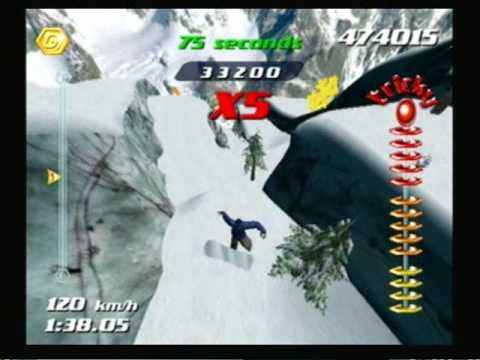 I never played the SSX on the Wii, Blur, leaving my snowboarding days behind me after SSX3, so it will be a delight to head back to the slopes for some nostalgic score battles between friends.